Internet of Everything might be the new industrial revolution as long as we can fill the gaps on the security of networks and training part. We have already spoken of Internet of Things (IoT) and explained what a revolution Internet of Things will be sooner. It will effect the way we think the immanence of the Internet and the Web in our lives and the ways in which we work and live. The concept of Internet of Things is so massive that it is push experts, like Sudarshan Krishnamurthi, Senior Product Manager at Cisco and responsible for the safety in IoT sector, to extend the meaning, using more appropriate terms, such as the phrase Internet of Everything or IoE. This represents a shift from the Internet of Things to the Internet of everything that surrounds us, thereby enlarging the futuristic vision of an utopian and not at this Web everywhere. With Internet of Everything it is expected that the force of evolution resulting from the union of people, processes, data, objects and links that until now have existed as separate entities and independent, will be able to meet only in some points. With the Internet of Everything connectivity will be the real protagonist and integration will lead to the economic development that everyone is waiting for and that could establish itself as a new industrial revolution. According to Cisco, in fact, the public and private sectors of the economy by the Internet of Everything will earn about $19 billion between 2013 and 2022, with revenue to be derived from the new business opportunities, new sources of revenue, a reduction in costs production, an increase in productivity and an improvement in the experience of life and work of the people. A delay this new reality could be integrated by filling the current gaps in software and networking, especially related to poor security and scarce skills in the sector. Thus, in order to realize Internet of Things Internet and Everything, it is necessary that the world interconnect technologies with safer, stable, agile, automated, dynamic and programmable way, while the sectors related to the various technological opportunities today available as mobile telephony, cloud, apps and Big Data converge towards a single operating mode. Composed as a platform, it can not only lead to form a greater platform to attack, so it is normal to arouse great concern in the security field. All this necessarily precaution leads to the formation of a new labor force, capable of operating in sectors such as the manufacturing, safety and utilities with more expertise in IT and networking. At the same time, IT professionals need to be trained on the control systems of production, on the different stages of production and industrial networks. A composite formation, therefore, better reflect the multidisciplinary conformation of the Internet of Everything, thus leading to the birth of professional roles and capable of leading the revolution towards the predetermined goal of IoE. We’re talking about the already emerging roles and identifiable in all the figures described by the English terms such as Business Transformation Specialist, Cloud broker, the Network Programmer, Specialized persons in Health Sector and Data Scientists. At the same time, companies will look among the ranks of its workers to identify the skills that currently they need, thus creating team of experienced staff in issues of networking, cloud, software, IT architectures, technologies like SDN and much more. The cooperation between companies, industries and educational environments will lead to bridge those gaps that retard the in-depth knowledge of the network and thus create talents and technologies that will catalyze the advent of the Internet of Everything. This Article Has Been Shared 6680 Times! What is Web 2.0? What are the various aspects of Web 2.0? Author discusses about Web 2.0 in simple language. Anycast is an addressing mode in computer networks, main advantages of anycast are load balancing and shorter access times. Here is how it works and where used. Tips for Improving Skill of Digital Photography – some less known practice can make your photography more better. These are not magics but will definitely work. Twitter, Google Plus, Pinterest, YouTube Tabs on Facebook Page are easy to add. There are lot of options of customization for different level of users. 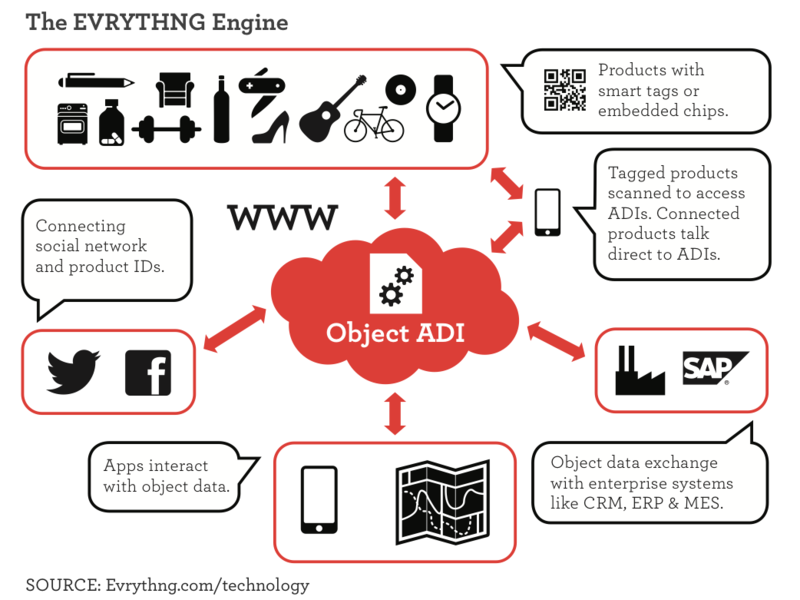 Cite this article as: Abhishek Ghosh, "Internet of Everything," in The Customize Windows, August 29, 2014, April 25, 2019, https://thecustomizewindows.com/2014/08/internet-everything/.